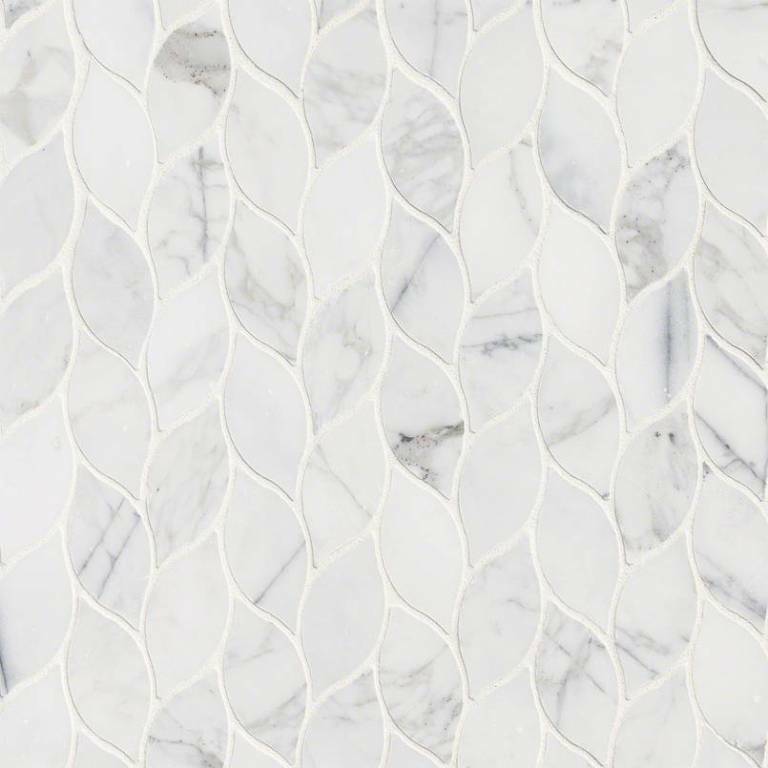 Calacatta Blanco Pattern tiles take a classic and timeless natural marble and twist it into a contemporary pattern. Use this as a backsplash tile, or a floor tile, and select your grout carefully. A contrasting grout will draw more attention to the pattern and give it a decidedly more contemporary look. A grout similar in tone will allow the beauty of the marble to be the star. Either way, you can't go wrong when creating floors, backsplashes, showers, fireplace surrounds, or other features.